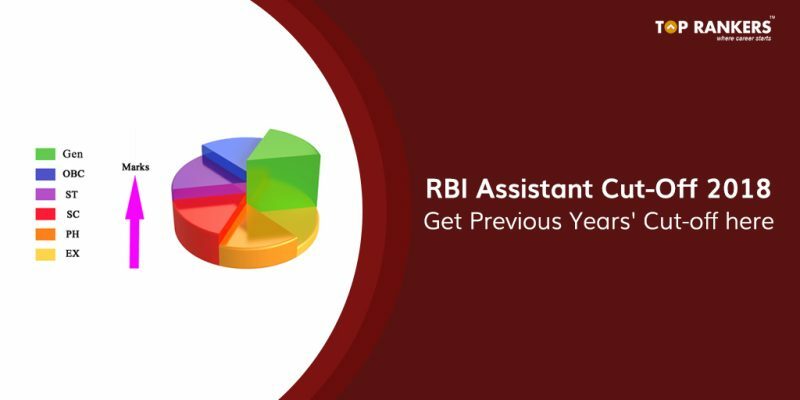 RBI Assistant Notification 2018 is expected to release in the month of October or November and we bring you the RBI Assistant cut-off for 2018. Find out the Previous years’ cut-off to have a clear understanding of the RBI Assistant cut off. Reserve Bank of India is considered as one of the most prestigious organizations to be a part of. Every year it conducts exams to recruit candidates in Officer and Assistant profile. A huge number of candidates apply for the position and only a few get selected. You need to work very hard and be smart in your preparations to be selected in RBI. One of the smartest way is to know the previous year cut-off of the exam. It help you predict the expected cut-off as well as gives you an idea of approximately how much you need to score to get selected. We will also update the Expected Cut-off for RBI Assistant 2018 exam. So stay updated on our blog post for more such interesting updates.